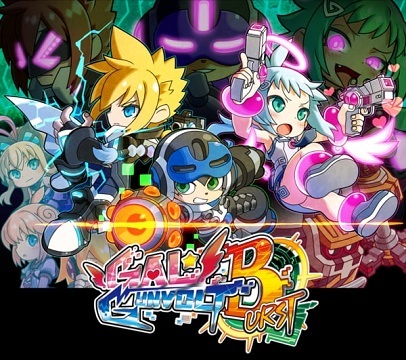 Gal Gunvolt Burst has now made its way to the PlayStation 4. This edition of Might Gunvolt Burst adds Ekoro from Gal Gun: Double Peace. A release trailer for the game was also released. A trailer for the Rivals DLC set was also released. The DLC adds Ray (Mighty No. 9), Copen (Azure Striker Gunvolt), and Kurona (Gal Gun 2). Each of the characters have their own special abilities. Gal Gunvolt Burst is now out on the PlayStation 4 in North America, it will be released in Europe on April 6. The Rivals DLC is also now available for $4.99.